This year like all years, we plan to leave a little something for Santa when he crawls down the chimney. Our tradition is a thick and deliciously sweet milkshake to go along with a plate of goodies. A quick trip to my local grocery and I have everything I need to make this holiday special. I am a regular shopper at Giant Eagle grocery store. I’m always able to find what I need at Giant Eagle and I love the affordability of their Market District products. Like Santa, I am making my list and checking it twice! With the holidays approaching, Giant Eagle is my one-stop shop for all my holiday grocery needs. From greeting and gift cards to hot foods to wine recommendations, there’s always a team member there to lend me a helping hand when I need it. The lights are sparkling, the tree is decorated, and my family and I are in the holiday spirit. I like to accessorize to show off the holidays. Even my paper towels and tissue cubes showcase the season! We have certain traditions we follow year after year. Leaving a little something for Santa near the mantle is a must. This year my kids thought he might like cookies and cream in milkshake form. 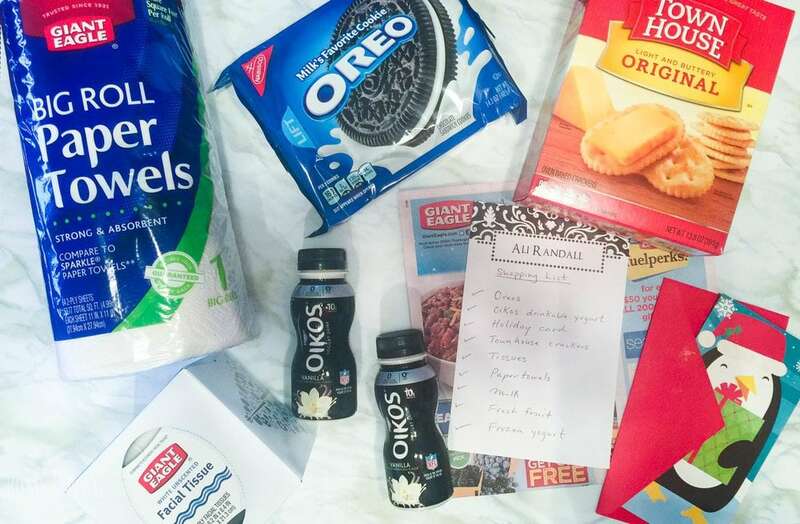 I made sure to leave him a few Oreo cookies, some Keebler Town House crackers and a Dannon Oiko’s vanilla flavored yogurt drink so he’d also have something to take on the go. And we can’t forget a special Hallmark holiday card wishing Santa a safe journey. 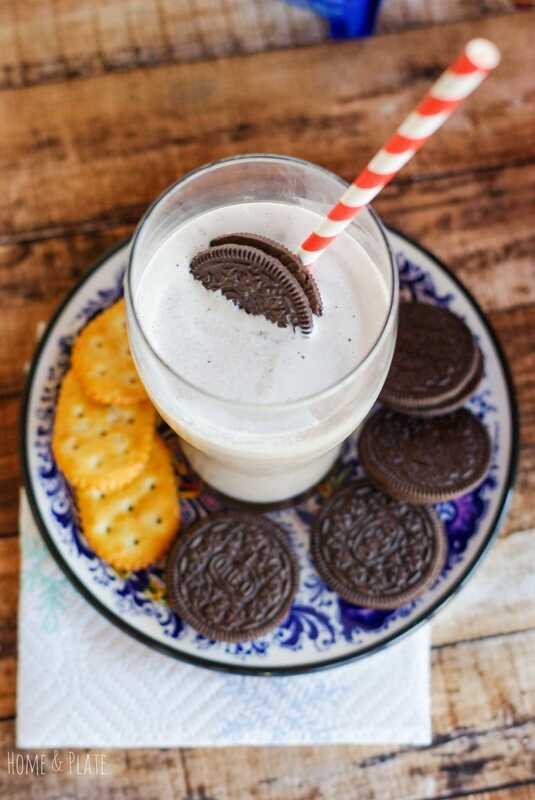 My Oreo milkshakes are kid friendly, easy to make and they are a holiday favorite. And no one can turn down a homemade milkshake, not even Santa 🎅. Instead of using ice cream, I start with low fat vanilla bean frozen yogurt, then I add Oreo cookies and milk. No guilt enjoying this creamy milkshake! Use a regular blender or an immersion blender to make these milkshakes. 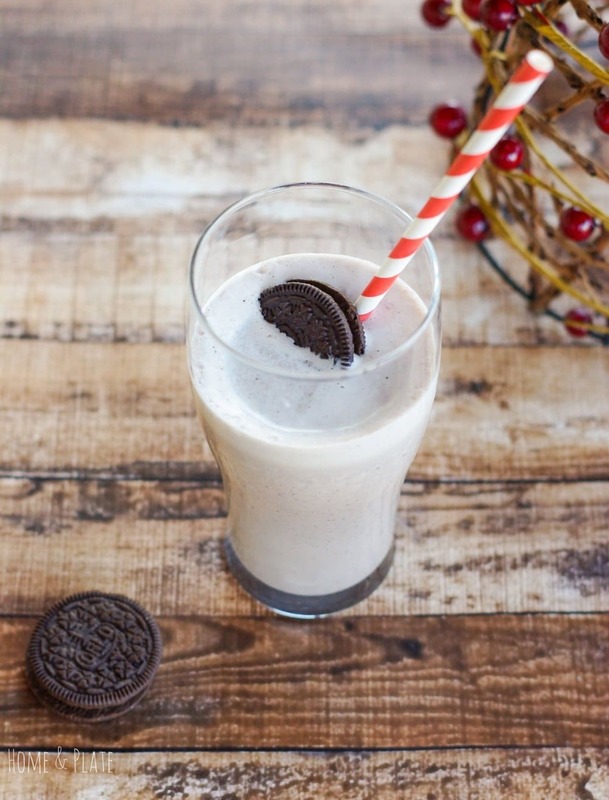 And be sure to top off each shake with an Oreo cookie. They are creamy and delicious! My Christmas dinner is already planned. I’ve ordered a beef tenderloin from the Giant Eagle meat department. Their experts will have it trimmed and ready for pick up a few days before Christmas. No time to cook? If the holidays stress you out, Giant Eagle can prepare your holiday dinner. 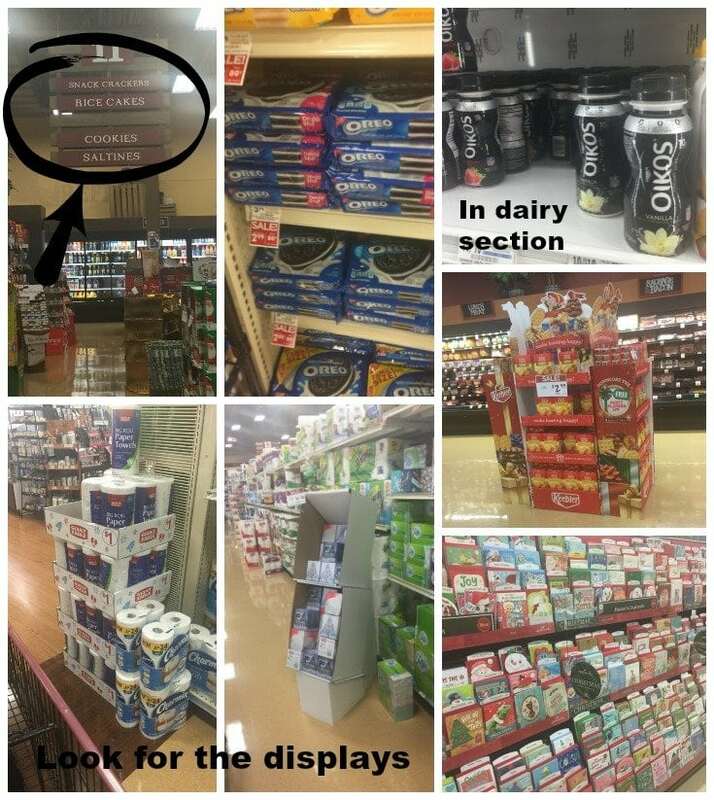 You can sit back and enjoy while Giant Eagle does all the work for you. How great is that? 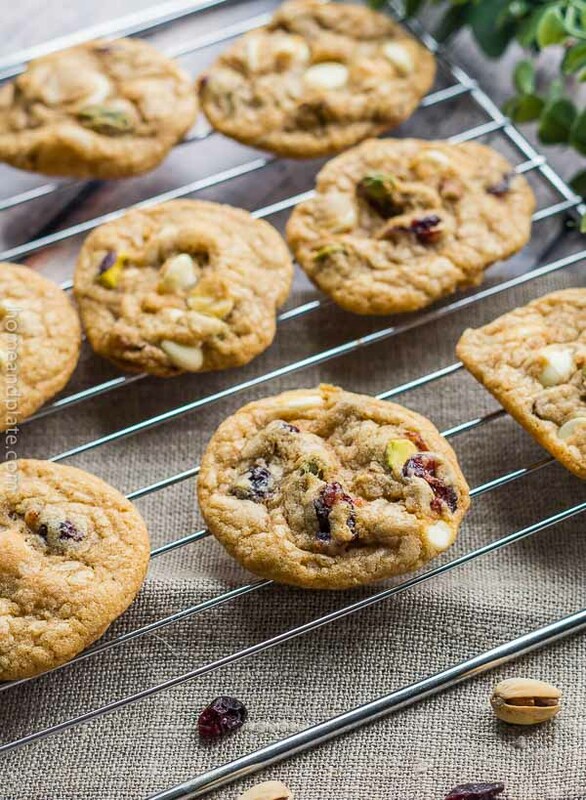 Be sure to check out more creative recipes from Giant Eagle to make your holiday run smooth. Using a blender, mix together all the ingredients until smooth. Serve in a tall glass with a straw. 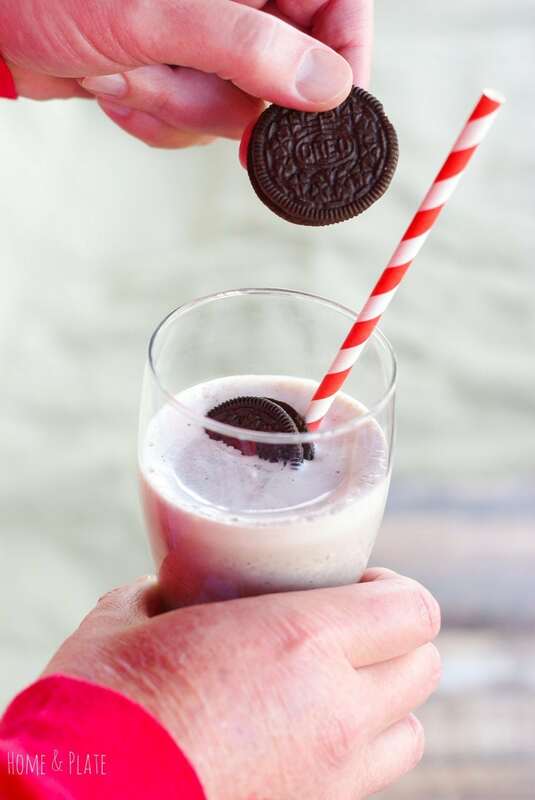 I’ve seen a number of Oreo milkshakes pop up on the scene for awhile now and I still haven’t made one. The vanilla bean yoghurt sounds award winning. I could see myself whipping up a batch especially with that yoghurt. Annamarie everyone in my family loves an Oreo milkshake. I usually have to make enough for all and then some. It has been far too long since I have had a good oreo milkshake. 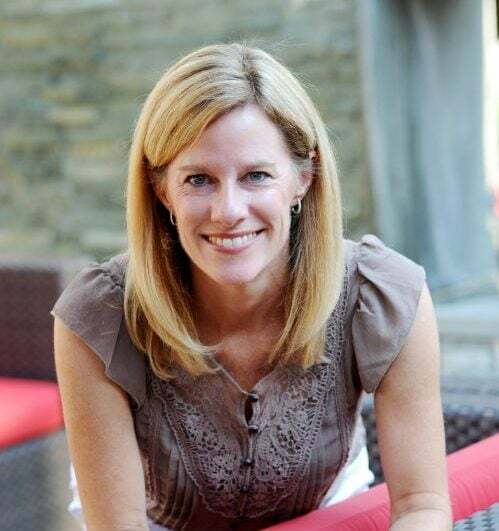 Love that you swapped out traditional vanilla ice cream for low-fat frozen yogurt! I think as long as the yogurt is real vanilla bean you can’t go wrong. Thanks Kara. That’s a perfect milkshake. So easy to make yet so delicious (I bet it is)! Thanks Jovita. Easy is my kind of recipe. Oreos are my weakness, but I’ve never done much more than dunk them in milk and devour. This milkshake puts it all together and I imagine the tang of the yogurt is even better than ice cream. Thanks for the recipe! Anything with Oreo is my favorite! I have tried many recipes using it and love them all. 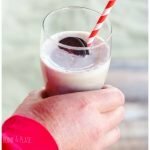 This milkshake is super easy to try and you have got amazing pics! 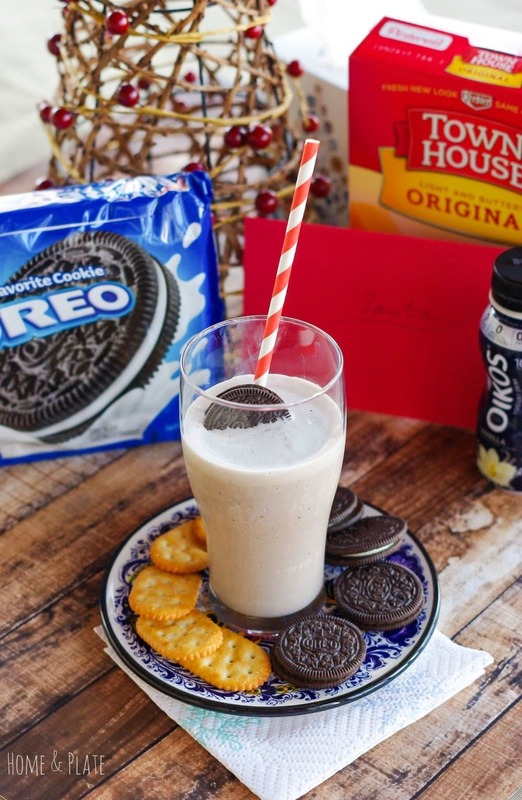 Thank you so much…you just can’t go wrong with Oreos and milkshakes. Yum! Yum! Looks like a healthier version of the Cookies and Cream fribbles from Friendly’s.